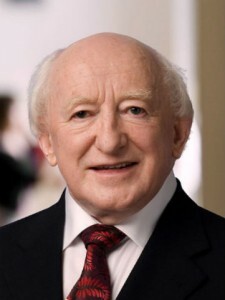 President Michael D. Higgins has called for students to embrace a broad education. Following a lecture he gave last night in The Helix in DCU, the President said that as modern society shows repeated periods of change, young people need a wide ranging education. “The capacity to be able to handle different forms of employment, but not only that, unemployment and changes in life and career requires a broad education. President Higgins went on to encourage those who have been forced to emigrate and take their education and skills elsewhere, to stay in touch with Ireland. He said that there should be “no sense of their personal failure in their having to emigrate, but rather it is that the opportunities that could use their skills weren’t provided for them. Many emigrants may have the right to feel angry towards an older generation who saddled them with massive debt. However the President praised the fact that there was not “antipathy” between generations. He said that young people “can take charge of change by getting involved” and remarked that “cynicism is of no value” when thinking about other generations. During the address to several hundred people in the O’Mahony hall as a part of the university’s Ethics for All series, the President called for a more ethical approach to economics as we rebuild following the recent financial crisis. He said that despite people being under a lot of pressure financially and otherwise he doesn’t feel that their own ethics or values have been compromised as a result. “I think what is very important is that we don’t imagine that we were a strongly ethical society and that we have fallen, as it were, into the present. “At times of great stress on younger people, I have found that young people have a very strong sense, for example, of the ethics of friendship”, adding that “the ethics of friendship make a demand that is greater than the ethics of justice”.